Davide Succi (Italian) is a legit deejay/music producer at heart with an intense passion for dance music culture in which he has been involved for the last 15 years. He is often described as a stimulating and charismatic talent, with the unique ability to leave a long-lasting impression upon his audience. Davide is one of those artists that understands the unspoken rules of the club music. Davide Succi sees the world through the same eyes as his public. “It’s almost impossible to make great progress without the continuing support of the people and fans”, he modestly says. Davide Succi, now ranked among the top most creative DJs worldwide, proudly proposes his unique style of trendy happy house music. Davide has been a host guest DJ for many fashion shows and luxury parties around the world serving companies such as Mercedes Benz, Chivas, Coors, Ferrari, D&G, Moschino, Celcom. His elegance in proposing a mix of crowd fillers is “just amazing”. Davide’s “Italian touch” is his expression of love for classy dance music that makes an event special – every time. It’s an expression of a genuine party with no repetitive house loops, but rather with songs that touch peoples’ heart. His live DJ sets are a 360 degree house music show featuring his own remix of the latest and most-aired hits around the globe as well as his own original tracks. His special sound mix, crowd-reading ability, and MC interaction draw the crowd right into the show. He is currently offering his live DJ shows accompanied by other DJs (duo DJ show) and solo artists such as guitarists, percussionists, violinists and cellists. He has been touring Asia (China, Malaysia, Hong kong, Philippines ect.) for many years being a point of reference for many fans and followers. His musical influences are rooted in the Italo disco’s sound, the style of dance music in Europe during the 1980s. “Italo disco” was one of the world’s first forms of complete electronic dance music that evolved in Italy, Spain, the Netherlands and other parts of Europe and invaded the dance charts worldwide. Italo disco music had a distinct, futuristic and ample sound, which was created using synthesizers, drum machines and vocoders. His contemporary house music still keeps vibes and sounds from that period as well as from original soundtracks from cult movies. 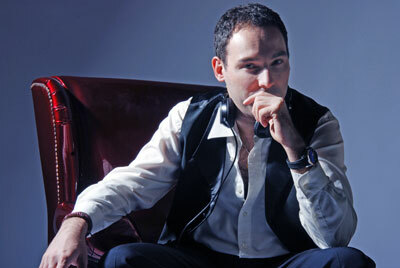 Davide usually fuses these sounds with an uplifting electro house twist. Davide Succi’s musical experience begins in radio station in Italy at the end of the 80’s. From 1994, he was master DJ behind many remixes and hosted one of the most successful and listened radio program in his region. 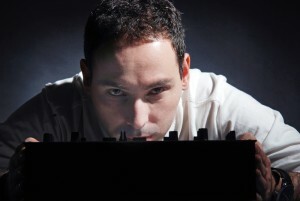 1995 to 2001 Davide Succi hits the decks of clubs in France, Uk, Germany, Poland, USA and Canada. His professional and unique mixing skills were appreciated by many followers around the globe and he was recognized as a global Deejay due to the fact that he can speak fluently 6 languages including Chinese. 2002 to present, he has been remixing, producing his own music tracks and proposing unique fashion live Deejay shows. Nominated No1 most creative Deejay in Asia in 2009, he is now guest host DJ/showman for many brands including Mercedes Benz/Chivas/Intercontinental hotels/Ferrari/Coors beer/Porsche and many others. In 2010, Davide teamed up with American guitarist Theron Welch to explore interaction between DJ and guitar. Style: Energetic and uplifting dance music.